I reckon I go through an Asian food phase every now and then, with Thai topping the list. Good thing there are plenty of decent and affordably priced Thai food in Malaysia, else I’d go broke paying for premium Thai cuisine! 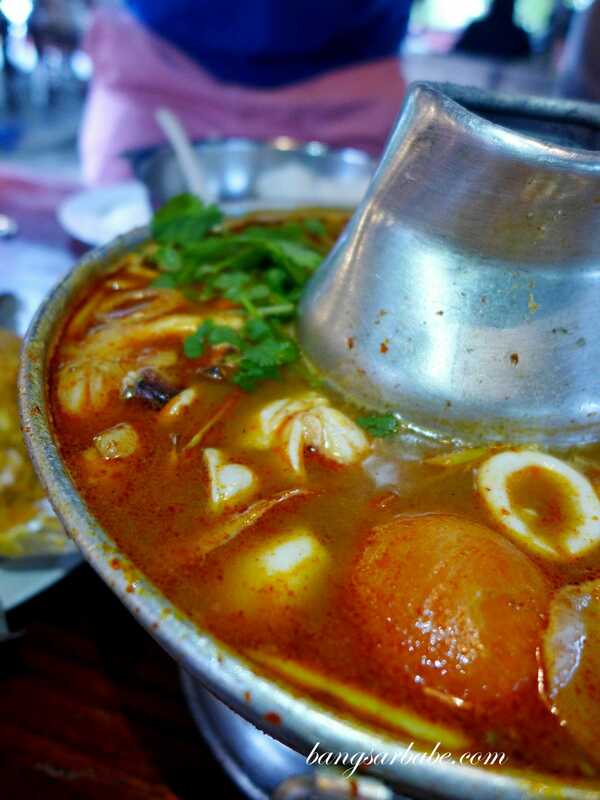 In Penang last month, I tried the original outlet of the famous Khuntai with a group of friends. 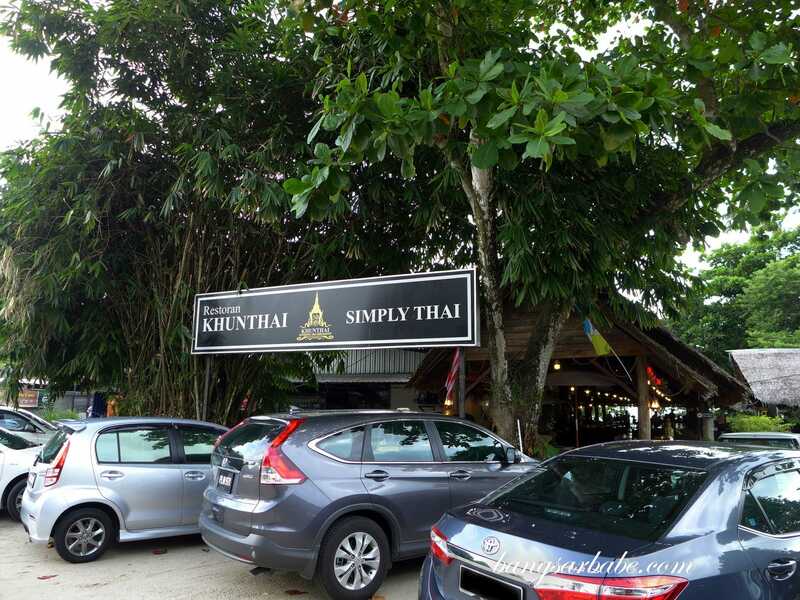 Like Chinese food, Thai food is best enjoyed with more people. The restaurant fills up fast so try and get there before 7pm, or risk waiting for a table to be vacant. 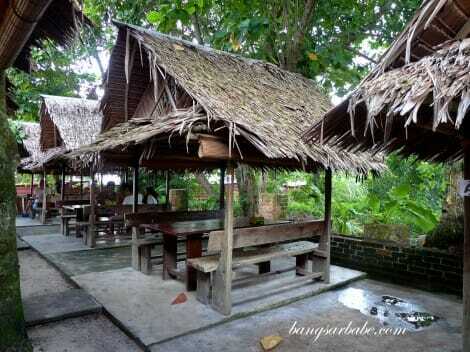 We managed to dine at one of the little huts by the side of the restaurant — fits about 5 to 6 pax. Things are systematic here; ordering was quick and the food arrived just as quickly. In 10 minutes, we were tucking into a piping hot dinner of seafood tomyam, steamed fish with lime broth, otak otak, mango salad and batter fried kangkung. While the food wasn’t fantastic, they were fairly decent and the seaside ambiance added points to our dining experience. I liked the otak otak, a creamy yet spicy dish of assorted seafood, steamed with chilli, spices and coconut milk. 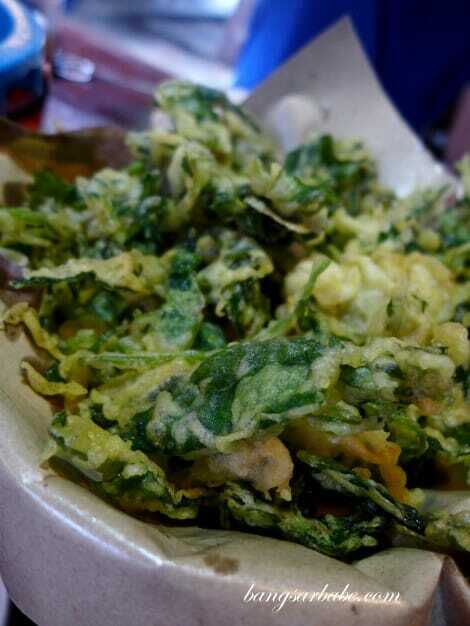 The kangkung was very moreish, and tastier than the Khuntai in PJ — I prefer the batter in Penang. 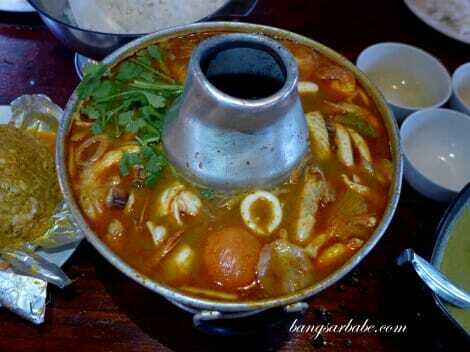 Seafood tomyam came laden with prawns, squid and fish slices. Not bad but nothing spectacular. This could have been tangier and I would have preferred the broth to be lighter. 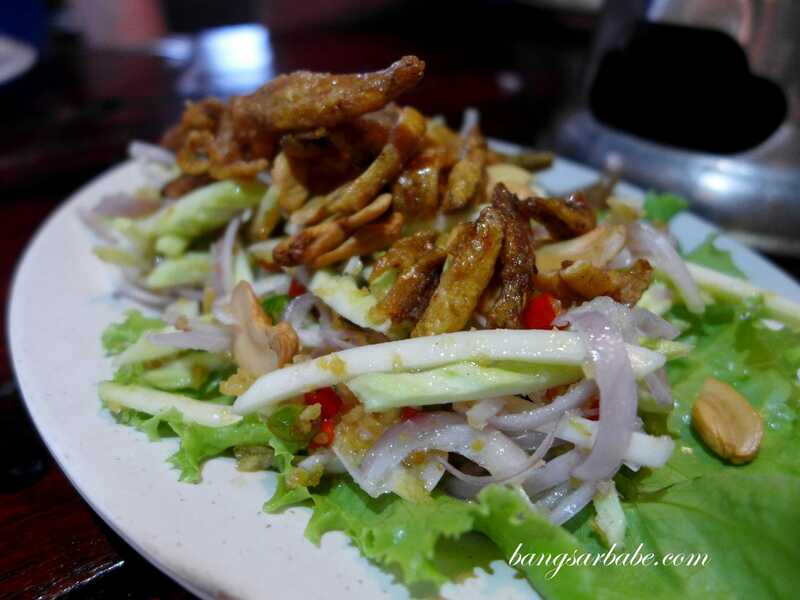 Mango salad packed a punch from the tiny bits of chilli padi and dressing. Very refreshing after all the fried kangkung and rich otak otak. A note though — they were quite stingy with the mango slivers. 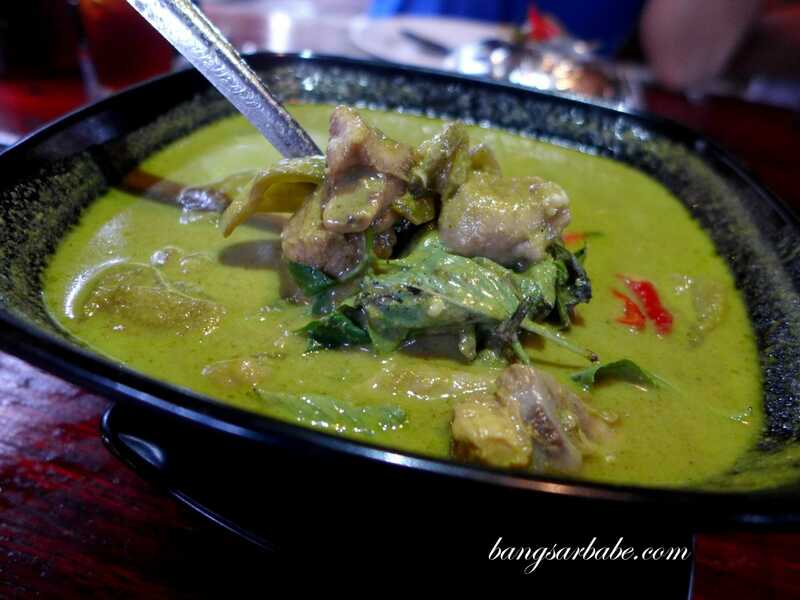 The green curry chicken was relatively mild and sweet from the coconut milk. 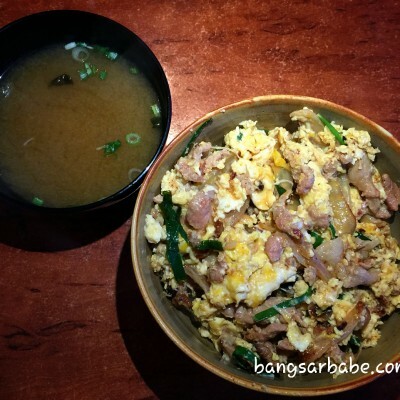 I like it spicier and thicker, but most places don’t do such a thick and spicy version. 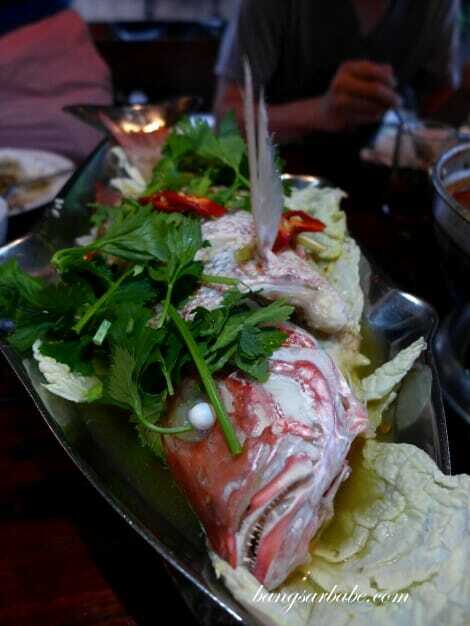 The steamed fish was a simple dish that packed a wallop of flavour. The broth was light with spicy, savoury and tangy undertones. I didn’t care much for the fish, but lapped up the broth thoughout dinner. I’m not sure how much the total bill was, but we paid about RM25 per person. Not too bad for the amount we ordered. 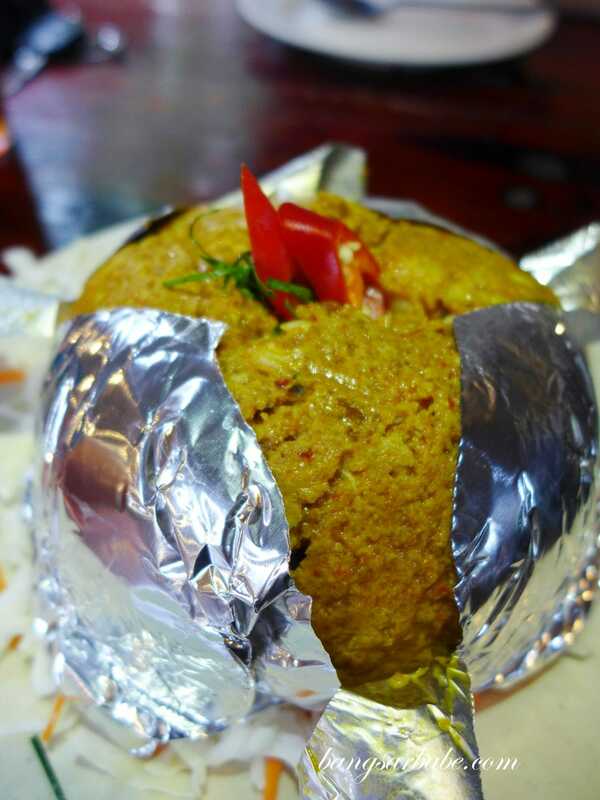 Verdict: Decent Thai food and affordable pricing. Try the otak otak.